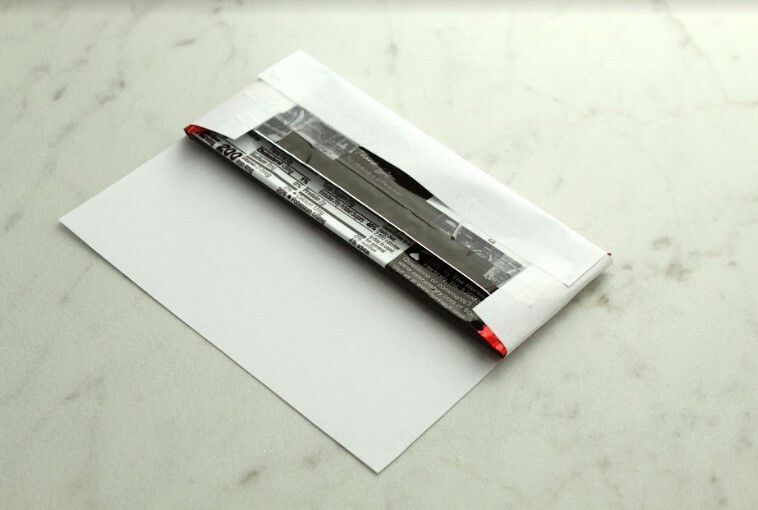 Print out the printables on a thicker, glossy paper to give the wrapper that sheen and prevent the candy bar packaging from showing through. Cut along the edges of the grey lines. Lay the wrapper face down and place the candy bar in the center. Fold over the flaps and secure with tape. 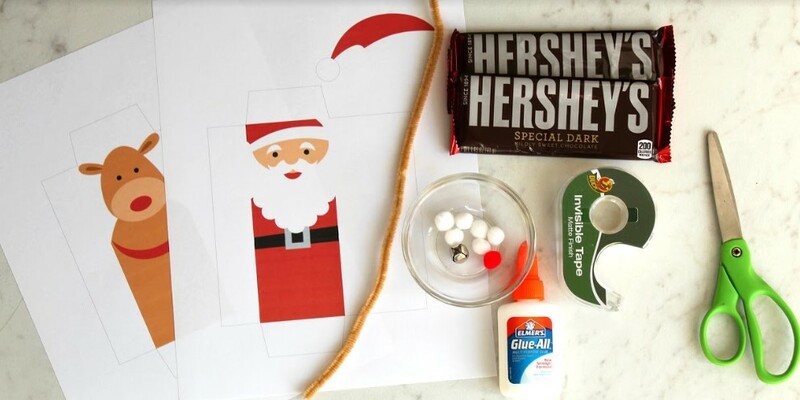 Turn the wrapped candy bar face up and squeeze a line of glue along the bottom edge of the red section at the top of the bar. Line the hat along that edge so it matches up and press down onto the glue to secure it in place. Fold a 3-4 inch piece of pipe cleaner in half and curve so it takes the shape of antlers. Secure on the back with a strip of clear tape. Glue a red pom pom on the nose. 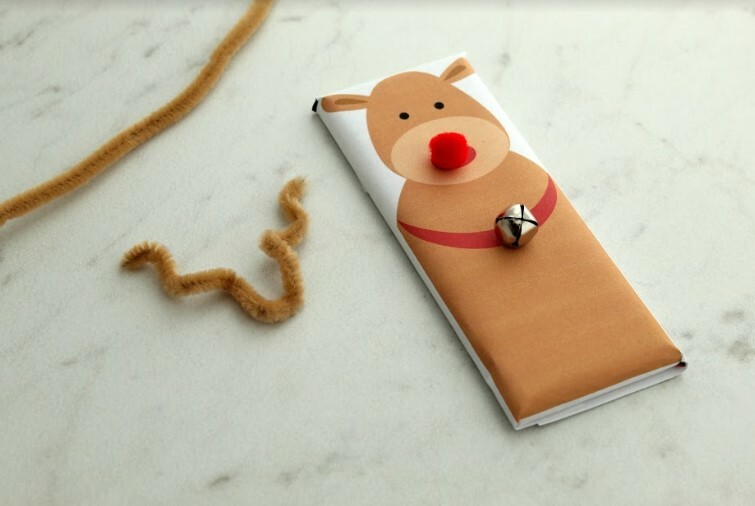 Glue a jingle bell in the center of Rudolph’s collar to complete the project. 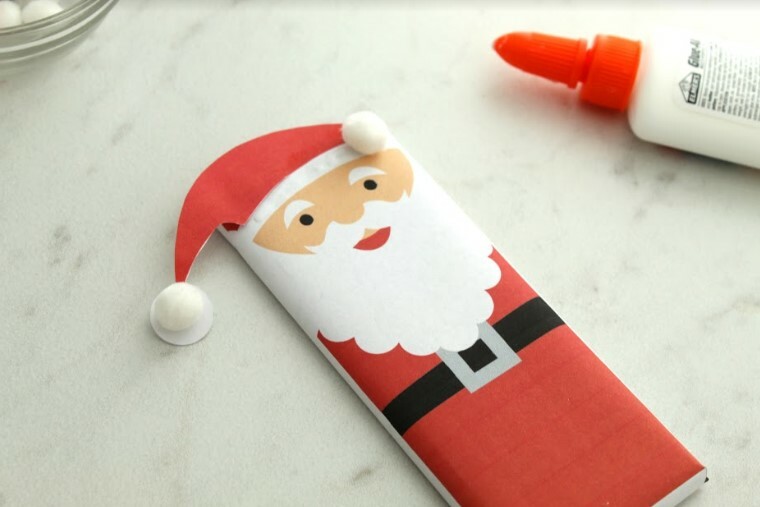 Write a holiday greeting or message on the back of the candy bar wrapper, or attach a holiday tag with a written message. 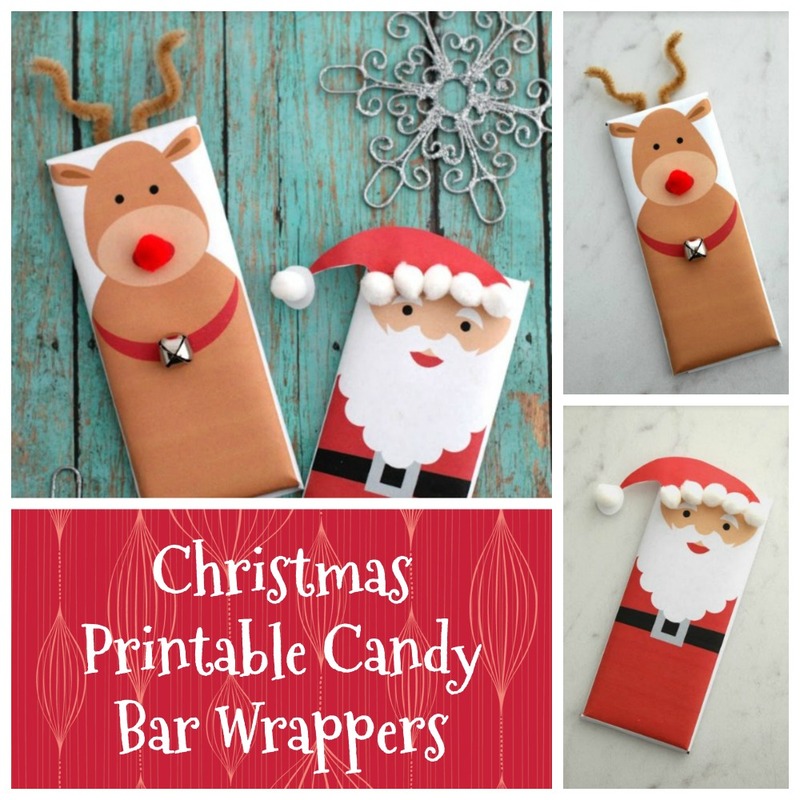 *These make great additions to larger wrapped gifts as gift toppers, as small gestures for mail or package delivery persons and also as stocking stuffers. 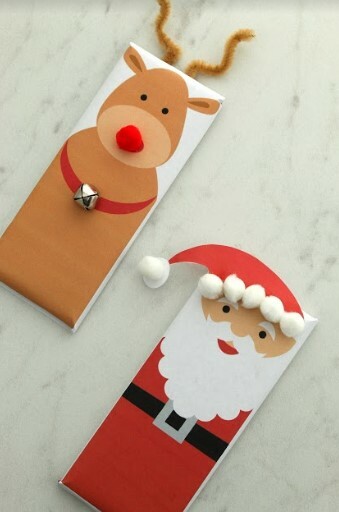 This entry was posted in Crafts/DIY, Holidays. Bookmark the permalink.